Durette implant (20 mm) for enucleation and evisceration – Oculo-Plastik, Inc.
•For enucleation, evisceration and secondary implantation. •Easily sutured to a network of tunnels that allow tissue ingrowth. 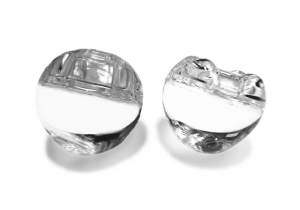 •Compared to rough porous implants, PMMA has a permanently smooth surface for a low exposure rate. 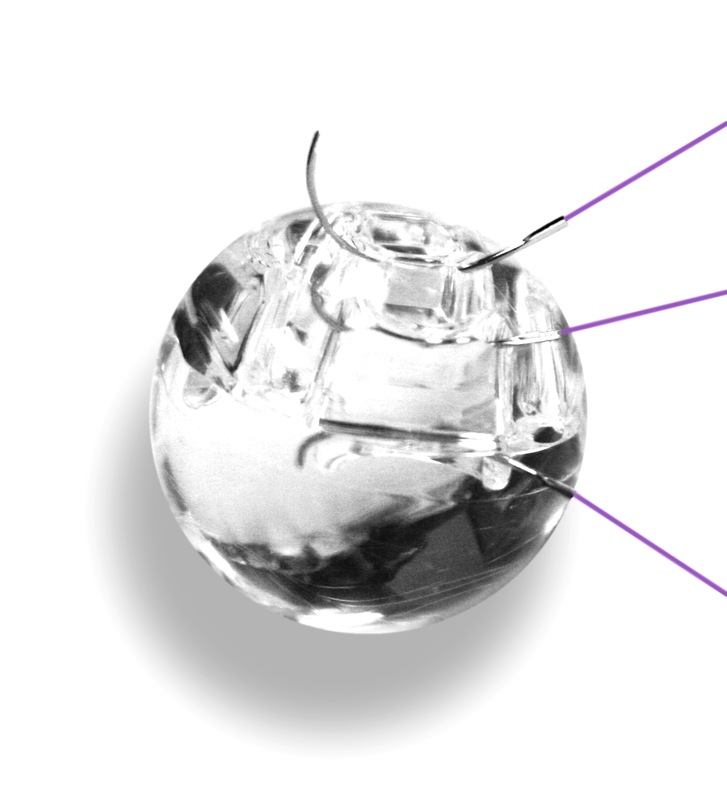 The Durette® ocular implant: a motility implant with tunnels for suturing and that allows tissue ingrowth (clear PMMA in two 20mm models). The Durette is a simple alternative, one to take advantage of today’s best surgical techniques. It is made with well-tolerated time-tested PMMA. It is a smooth-surfaced ocular implant for a low exposure rate. 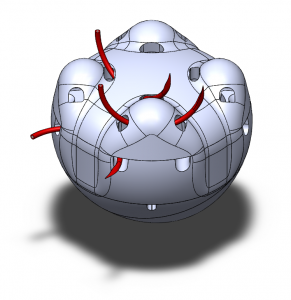 All models have tunnels for suturing the muscles. 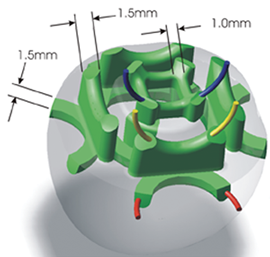 The network of 20 interconnected tunnels allows new tissue to form and integrate with surrounding tissue and aims to prevent migration, forward displacement and tissue stretching. Being permanently smooth-surfaced, in comparison with rough porous implants, they should not tend to compromise the covering tissues. All have an off-center medial posterior elongation for added volume and better front positioning of details for coupling with ocular prostheses. In 2 models of 20mm, easy to suture with special needle HRT17 (GA-502N from Sharpoint Angiotech,sold seperatly). For enucleation, evisceration and secondary implantation. 20 interconnected tunnels for tissue ingrowth, with 3 levels for suturing each muscle. Each model has more or less anterior details for coupling with the custom impression-fitted ocular prosthesis. 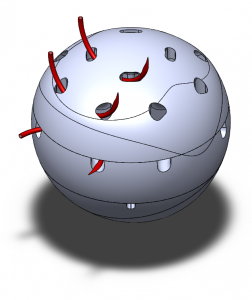 Whichever model is preferred will offer optimal motility. 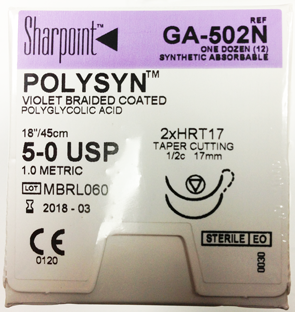 Special suture GA-502N, box of 12, sold separately. Conformer 22, small and regular, sold separately.